But first we must have a little fun. Harold Crawford says "A 40 MM gun that I used to be on, when I was in the AAA units back in the 50s." Just look at those iron sights!! Bet they couldn't track/hit a Piper Cub flying half a mile away! The first (major) use of aircraft for combat was in World War 1. Of course ground forces wanted to shoot down enemy aircraft that were spying-on/harassing them. Larger bore guns could shoot further, but had enormous recoil that could cause the gun to be disturbed so needed re-aiming after every shot - slowing down firing. 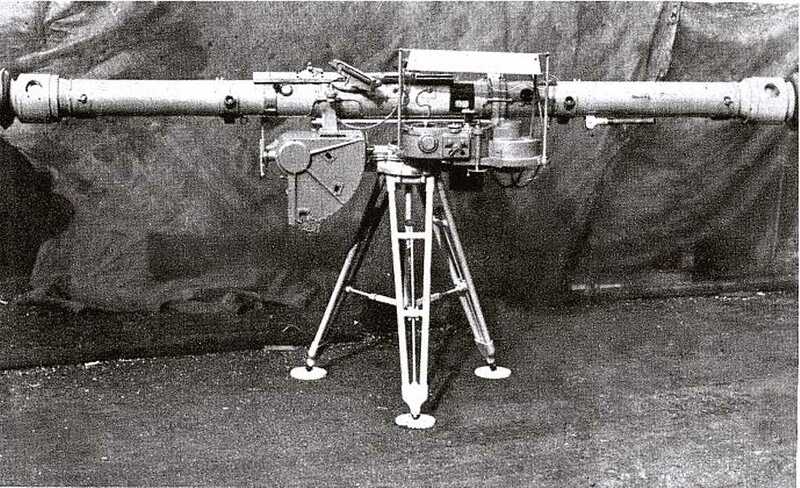 A History Channel presentation recently said that just before World War 1, the French invented/perfected the recoil mechanisms for large guns - enabling rapid fire because the recoil did not (in general) disturb the gun aiming so that the gun did not have to be re-aimed after each shot - This revolutionized artillery gun making and firing. ( G Dessornes - gaselen at earthlink dot net - is looking up information about AAA in World War 1 ) (as of June 2011) The following block is from him. 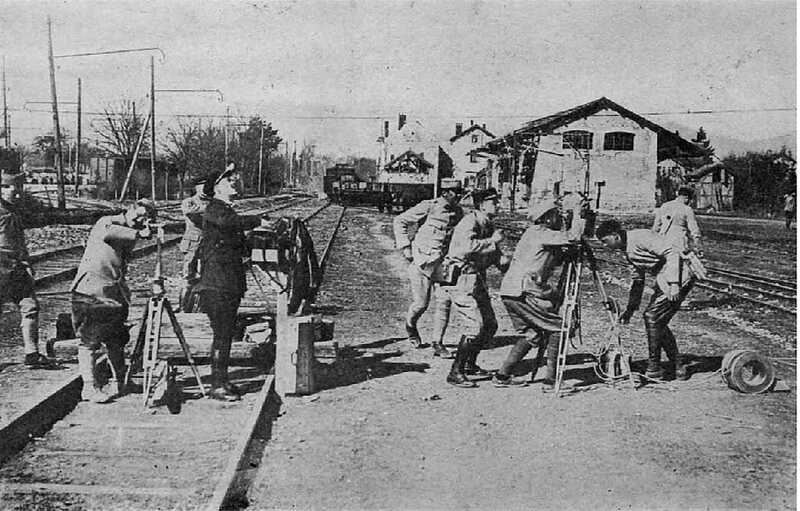 Here is a [French] 75mm auto-canon AAA in action in 1917-1918 WWI in France. - and fuse timing (not seen here) . angular speed ( electrical) used in the Brocq corrector. This anti-aircraft situation was typical. Ground fire against aircraft looked impressive, but downed few planes. Fighter planes were more effective, but even with combined fighter planes and anti-aircraft guns, most bombers (German, British, American, Japanese) reached assigned targets and dropped their bombs. In most air raids (by either side) more than 90 percent of the bombers returned to safe airports. Air crews probably felt that a 10 percent loss was very high - but defenders took a pounding. Down town London was mostly gutted - most large German cities were heavily damaged - most Japanese cities were heavily damaged before the atom bomb really did the convincing. Author gets flack. Several people felt the above is not strictly true. They point to the very successful air defense of the Normandy landing areas in June of 1944. The Allies put/kept all their available fighter planes over the Normandy beach heads. One report says that 11,000 Allied aircraft were involved with the Normandy invasion. Yes, there were few reports of German aircraft. One British fighter wing history reports that the Germans mounted about 100 sorties, but does not mention combat with them. Allied ground and naval forces were not bothered enough by German aircraft to write anything about them in the battle summaries. One can still claim that the threat of anti-aircraft fire was not what kept the Germans away. I propose that German command confusion (Hitler) and 11,000 Allied aircraft kept most of the German aircraft away from the Normandy invasion. Image stolen from page Fi-103/V-1 "Buzz Bomb" of Warbirds Resource Group - permission has been asked - I don't suggest this method of business, but I just hate it when good stuff disappears from the Internet. 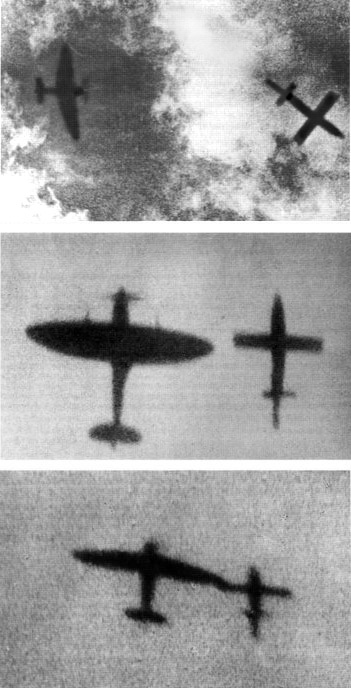 In 1943, Allied photo reconnaissance spotted German V1 development efforts, and the British took the threat very seriously. In 1943, the British anti-aircraft czar General Frederick Pile ordered a large number of fire control computer ("predictor") systems from Bell Telephone. 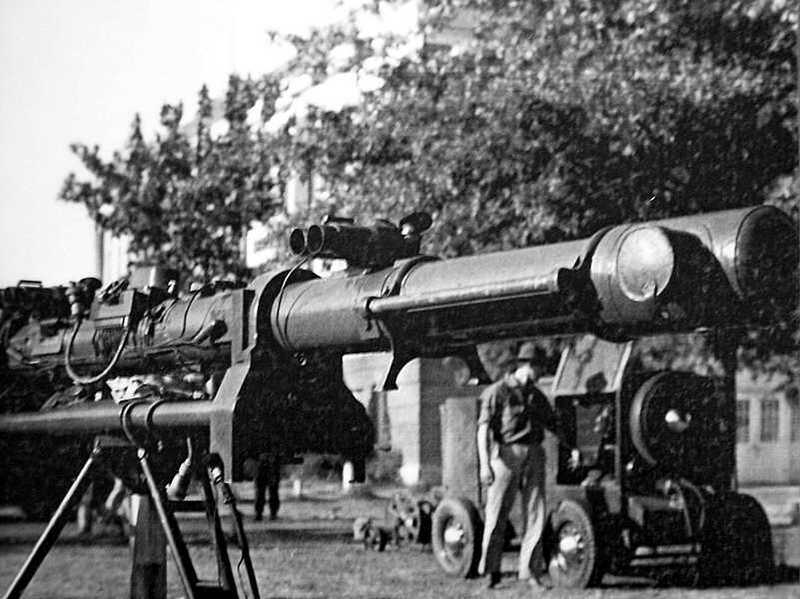 (During World War II, the Bell Telephone company (and Western Electric, its manufacturing arm) had designed and manufactured several anti-aircraft fire control systems for anti-aircraft guns.) Nine months later (June 1944, just in time for the German V1 attack) the "predictor" systems were being installed in England. (How is that for quick turn around?). Burke said "Devilish difficult things to hit, buzz bombs. 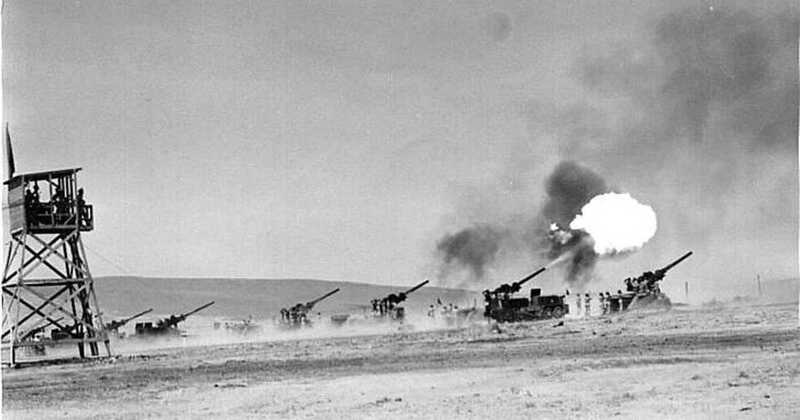 At first it took the antiaircraft gunners 2500 rounds to bring one down. Then (and on behalf of the U.K., I thank you Bell Labs), along came the M-9 Predictor, and the cost of bagging the doodle bug went down to 100 shells. Significant savings all round (including lives). All it took was the magic math to run a feedback loop that could update constantly the set of data you got from the radar about the incoming buzz bomb's last position, so as to be able to make a good guess at its next and to point the guns that way. Then boom." 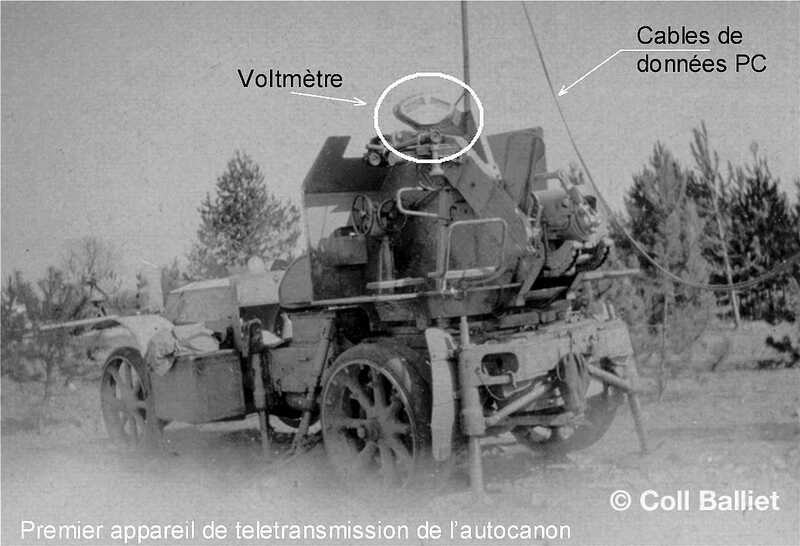 "In its original 1944 incarnation, shooting down V1s, the radar was not a tracking radar - it only gave range. 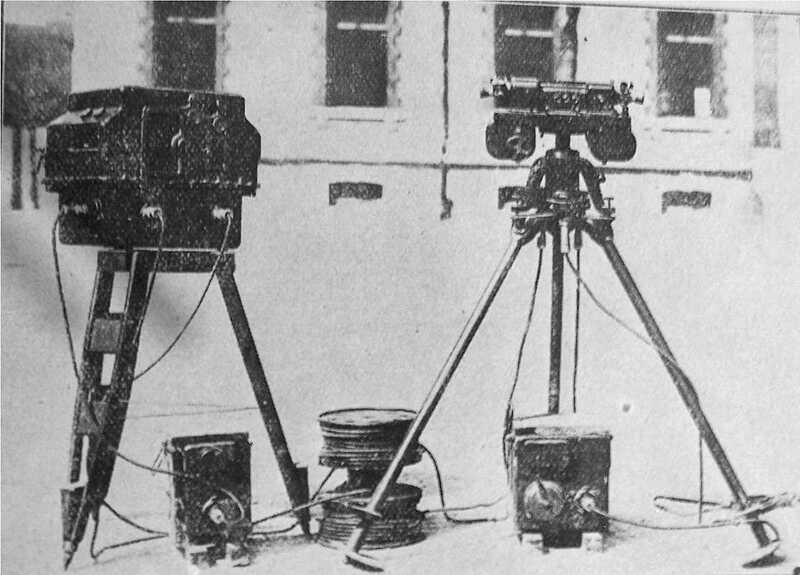 Tracking was accomplished by an optical tracker, essentially a large double theodolite with a seat of either side with one operator following the bearing and the other in elevation. 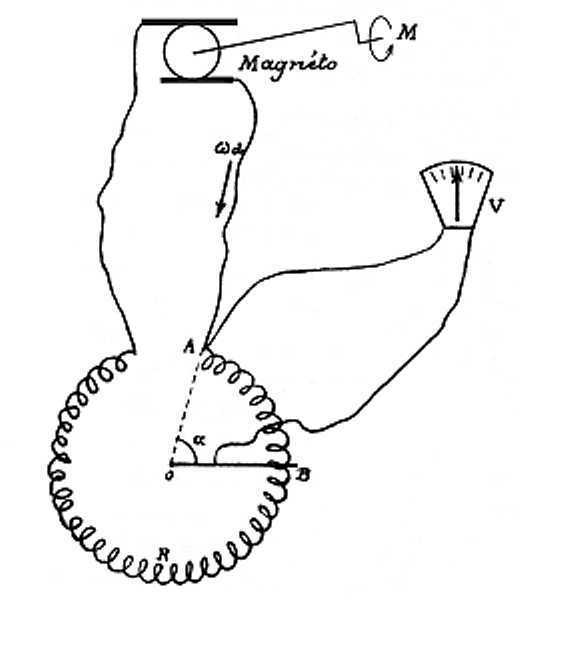 The output of that was taken by magslips (later known as synchros) to the predictor, AND to the radar to point it in the right direction. At the time I encountered it in 1955 it was fed from the British 4 Mk 7 radar which was a true tracking radar which sent and received via a single dish. There were a couple of what I think were SCR584s around the equipment park which had separate dishes for send and receive." The British used 3.7 inch (90 millimeter) and 4.5 inch (110 millimeter) anti-aircraft guns at this time." The radars that he is referring to were SCR-547s. 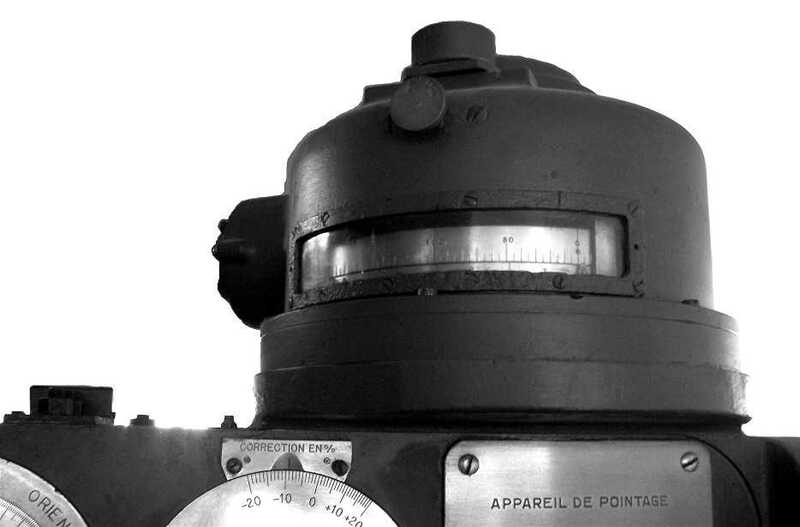 These were the "Mickey Mouse" radars from Western Electric, and could manually track a target and furnish azimuth, elevation, and range data to the director. It could also optically track as well, being fitted with some telescopes. "this section does not mention the use of the VT fuze (variable time or proximity fuze) for anti-aircraft guns. These fuzes came into use by the U.S. Navy in 1943, and were employed in Great Britain by 1944. 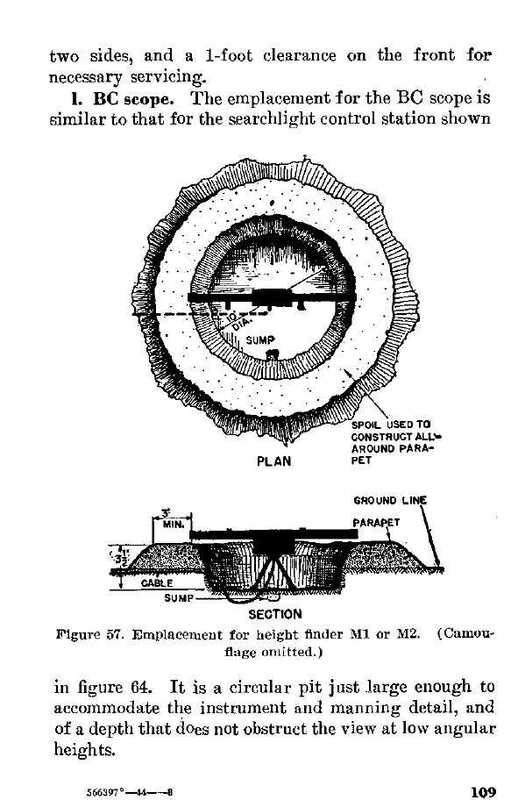 They gave the defending anti-aircraft gunners a major advantage, since when using a VT fuze it was not necessary to correctly estimate the time of flight to intercept an enemy aircraft. The relatively high kill rate for U.S. Navy anti-aircraft guns as compared to Imperial Japanese Navy anti-aircraft guns attests to the success of the fuze. 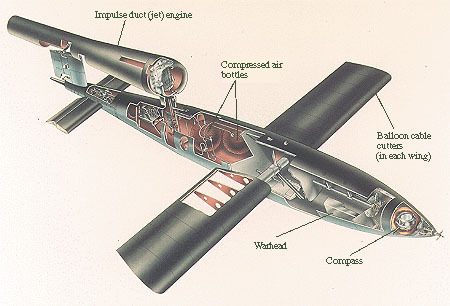 The fuze was used as part of the defense against V1 attacks against Great Britain. While not the only factor in the success of the British anti-aircraft guns against the buzz bombs, the VT fuze was a notable contributor." Very true. (See The Radio Proximity Fuze - A survey.) The artillery shell in general does not impact the airplane, however, if you can get the shell to pass near the plane, and if you can explode the shell as it passes near the airplane, you can likely do serious damage. 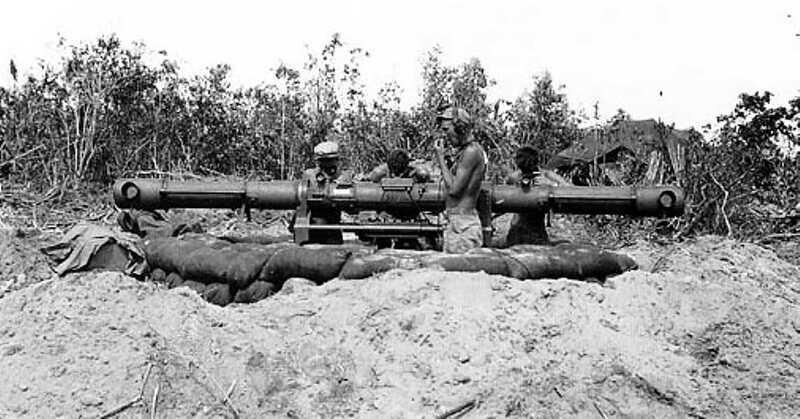 Before the VT fuse, the gun crew adjusted a timer on the fuse of the shell just before inserting the shell into the gun. 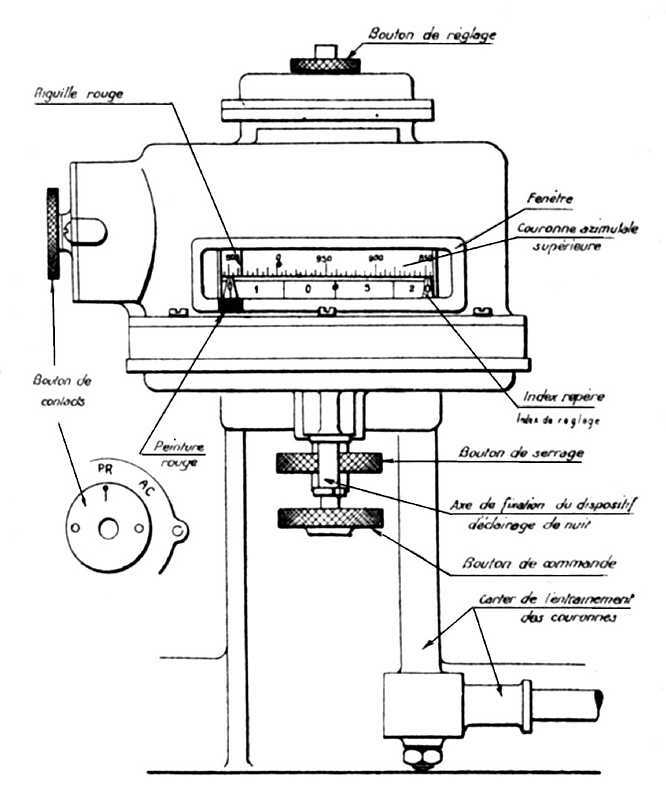 Determining the correct setting of the fuse, had been one of the major problems of anti-aircraft gunnery. Since the shell is traveling about 1/2 mile per second, trying to get the shell to explode within say 30 feet of the airplane requires the shell to explode plus or minus 0.015 seconds of optimum. If the plane is at 20,000 feet, the flight time is about 9 seconds. The percent error in the time must be less than 0.15 percent, an interesting challenge of fuse timer design and construction if nothing else. Using radar ranging, radar or optical sighting for azimuth and elevation, and a computer generated better gun pointing. Part of the gun pointing problem is determining how long (in seconds) the shell must fly to the predicted intercept point. This flight time became more accurate - but - the prediction was valid for right now. If the fuse setter set this time into the shell, handed the shell to the loader, the loader loaded, closed the breach block, etc. up to 7 seconds had passed - and a new flight time is more valid. So the computers were modified to provide a time value that would be as good as possible say 7 seconds from now - and gunners tried to arange their activities so that shell would be fired precisely 7 seconds after the fuse setter did his job. As you can see - there are even more variables and more uncertainties than first apparent. This whole difficult problem was by-passed with the arrival of sufficient numbers of the efficient VT fuzes. The whole art and science of fuze setting became obsolete. Fortunately the V-1 was a nice well behaved target, flying low and straight. Actually an almost ideal target. 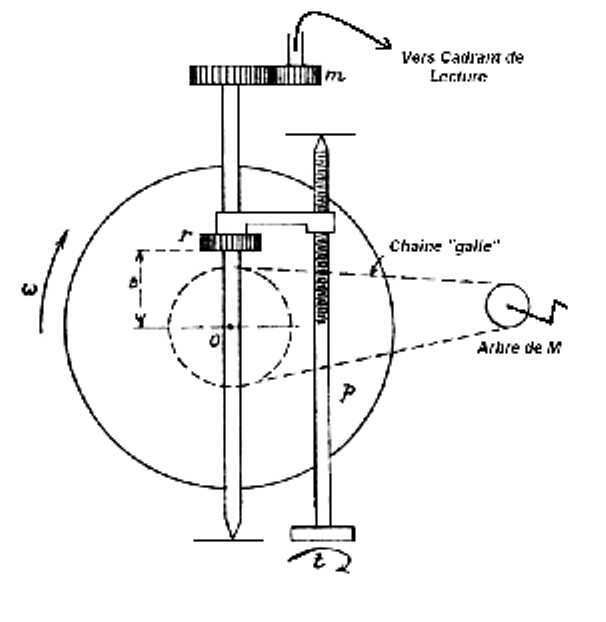 [I read somewhere that the V-1 designers suggested a little device to slowly move the rudder back and forth to make the V-1 harder to hit. Someone "further up" vetoed the idea.] Smarter targets flew higher and continually changed course a little (except during bombing runs). I was in B-238th AAA 90mm in Japan during the Korean War. I went to Far East Anti Aircraft Specialist School In Hyoshi Japan and they just danced around the topic you covered. There are some more problems that enter the equation that make it worse: weather, powder temp, different ammo batches, barrel life of the individual weapons, dead time from time the fuse is cut till ignition,and so on. Our SCR-584 only had one antenna and we were on full radar nearly all the time. We never had any daytime alerts. On page three you refer to an optical tracker. Can you remember the military nomenclature for this device. I am writing a picture history of my two years in AAAand I am hung up on this item. V1s downed by their own operational problems 2 thousand? Allied aircraft destroyed while attacking V1s in flight ?? Allied aircraft destroyed while attacking V1s launchers ?? New Zealand Fighter Pilots Museum says that in many successful V1 intercepts by aircraft (fighter planes), the 1 ton bomb exploded providing great danger to the pilot. The New Zealand 486th squadron lost 17 Tempest planes and 3 pilots in these blasts. Photos and comments from Internet posts - " Spitfire "tipping-off" a V1. if you've never heard of this insane tactic... At first V1's were shot down by gunfire. Optimum range was inside 200yds, which was marginal for survival. Many planes were damaged and quite a few pilots killed. Basically at such high speed and low altitude a plane had to fly though the explosion and hope. With the high risk of being blown up some of the best pilots started tipping the V1's wing, because of damage to wing tips they later developed a tactic of disrupting the airflow by placing their wing very close to the V1's wing, causing it to topple. Not every pilot did this. At night this was not possible, the flame from the V1 blinded the pilot to everything else, though some Mossie pilots flew past closely in front of the V1, again causing it to topple. The thought of doing this at 450mph, 4,000 feet above the ground, at night and being blinded gives me the willies. " - V1s used no electronic counter measures (jamming, chaff). It was very apparent that this anti-aircraft success rate ("only" 75 percent) would be much worse against high flying, evading, jamming aircraft. The Germans fighters and anti-aircraft guns had a much lower success rate against Allied bombers. Allied bombers flew high (15 to 20 thousand feet) to evade the guns and in large formations (often referred to as bomber streams) to help defend against German fighters. The Germans gunners only had to set the fuses to explode at the altitude of the stream and shoot up into the 'stream', and their success was very limited. German officials recognized the ineffectiveness, but kept up the attempt to cheer up the German civilians. The guns were most dangerous (moderate) when Allied aircraft were flying straight during bomb runs. Life takes strange turns. A classmate of mine in Nike anti-aircraft school (1954) was a new U.S. citizen. His previous citizenship had been German. When he had been 14, he had loaded German anti-aircraft guns - firing at United States bombers over Germany. Comments from Jerry L Brewer who did U.S. 90 mm AAA in Japan during the Korean police action. One final thought on AA guns against modern aircraft. It was taking your faithful old shotgun out to shoot birds flying by at 100 MPH. German author Werner Muller in his book "The Heavy Flak Guns" said,"Based on average monthly ammunition consumption in 1944, it took 16,000 rounds of 88mm gunfire to bring down one four engine bomber." I am sure that one Nike rocket was a better buy than 16,000 rounds of 90mm ammo. Synopsis of Lark XSAM-N-2: Speed Mach 0.85, Range 33 miles, Warhead 100 lb, Guidance: various depending - active or passive homing near target. Suggested by Ken Frasier and J.P. Moore. ... the Radar I was serving was a USA SCR 584 with Nutating for pointing error detection and helical scanning for detection.. 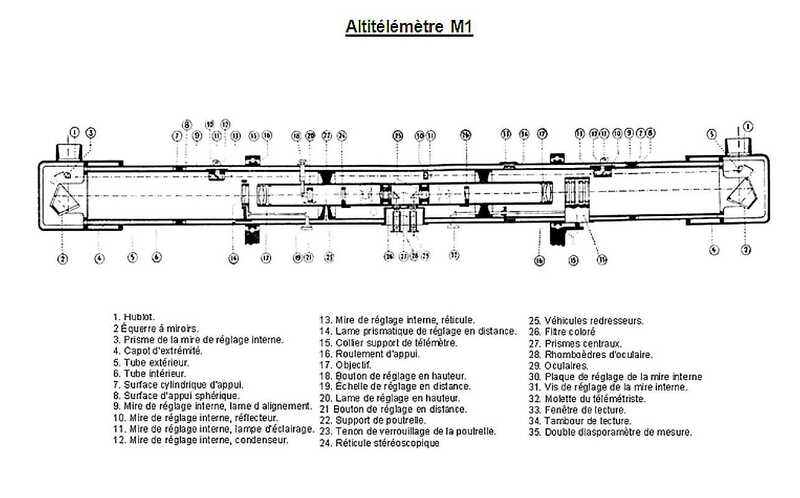 It gave the pointing and distance information either to an analog computer or to a full electronic computer which computed the "future" position of the aircraft, and in turn drove a model 90mm antiarcraft gun (the only French part of the system). [The computers were] APT M7 for the analog and APT M9 for the electronic.. Since APT means Appareil de Preparation de Tir, I assume they probably had different US names ! You probably call them "Gun directors" but hopefully the part number would be the same? With the newly developed atomic bomb, one aircraft could destroy a whole city. A 99 percent kill rate against a 100 plane raid is really not good enough. The examples of Hiroshima and Nagasaki are difficult to forget. "During the August 3, 1947 Aviation Day parade over Tushino Airport, Moscow, three four-engined aircraft which were obviously B-29s appeared during a low-altitude flyover. It was at first thought that these three aircraft might have been the same 3 intact B-29s known to have been in Soviet hands, but a FOURTH aircraft appeared which was obviously a clone of the B-29, leaving no doubt that the earlier report of B-29 manufacture in the Soviet Union was completely accurate." 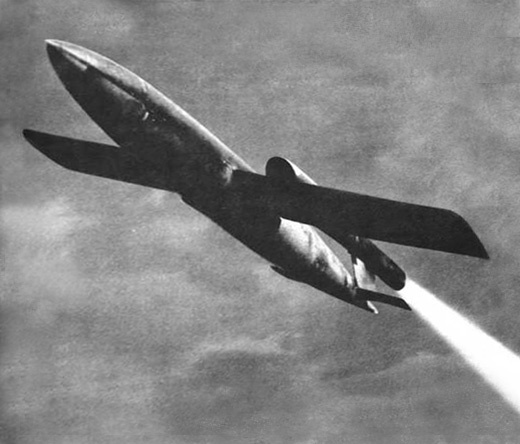 This clone of the US B-29 was called "TU-4" by the Soviets. The US developed the B-29 specifically to handle the very long ranges expected when we could finally use air bases on Saipan in the Marianas islands to attack the industrial areas in Japan. No other WWII bomber approached the B-29's long range and heavy bomb capacity. Rumor states the Soviets cloned the B-29 right down to the paint colors used in the tunnel to the rear turret. "By the end of 1949, some 300 Tu-4s had entered service with the DA. In addition, a few Tu-4s entered service with the Aviatsiya Voenno-morskovo Flota (AV-MF, the Naval Air Force) as long-range patrol aircraft." "The Tu-4 was assigned the code name *Bull* in the NATO code naming system. The entrance into service of the Tu-4 threw the USAF into a virtual panic, since the Tu-4 possessed sufficient range to attack Chicago, Los Angeles, and New York with a worthwhile load on a one-way "suicide" mission. From seized airfields in Iceland, Soviet Tu-4s were even capable of hitting targets in New England, New York, Pennsylvania, and Ohio, and from bases in Greenland they could hit targets as far away as New Orleans or Denver. Since the Soviets now had a weapon capable of attacking North America, this forced the United States government to develop an extremely costly air-interception capability involving ground radar installations, a Ground Observer Corps, radar picket planes, Nike surface-to-air missiles, and a fleet of jet interceptor fighters. The development of the Soviet atomic bomb in 1949 gave the air defense program a new urgency, since the United States was itself now in danger of a nuclear attack." Joe Baugher - last known e-mail jfb@ihgp.ih.att.com - quoted the above material from "The Billion-Dollar Bomber", William Green, Air Enthusiast, July, August, September, 1971. Dan Lasley (August 2002) points out the excellent B-29 to "Bull" project in "Made in the U.S.S.R." in the Air&Space Magazine which further describes the events. He also reports that the History Channel has a highly recommended episode on this topic. The newly developed jet engines permit much higher altitudes and speeds making ground based anti-aircraft guns against high flying aircraft actually useless. The Russians had the atomic bomb, long range jet aircraft, and were acting like very bad neighbors, examples, the Berlin Blockade, their support of the North Korean invasion of South Korea, massive buildup of jet bomber forces, submarines, etc. - To counter evasive maneuvers by the aircraft. - 24 hours a day and 7 days a week.